Seen some great tech stuff? Seen some dreadful tech stuff? Have some tech questions? Then this is the page for you. If you have tech questions then, if you are lucky you may get some answers. You never know but the answers may even be useful. Note that for any advice given then it is up to the reader to use that advice advisedly at their own risk. Thank goodness for UCI rules…………. At what point does a marketing gimmick become stupid? Didn’t work for Aqua Blue, doesn’t seem to be working for Trek. Did Degenkolb’s bike have a chain guide/catcher fitted? Crazy. I saw him bouncing the bike with the chain off but didn’t spot he was on a 1x. Not sure how bouncing the bike would have got it back anyway. If he didn’t have a chain catcher I’d have thought he should have been able to get it back on as he did also reach down. So maybe it did have a chain catcher but still came off. 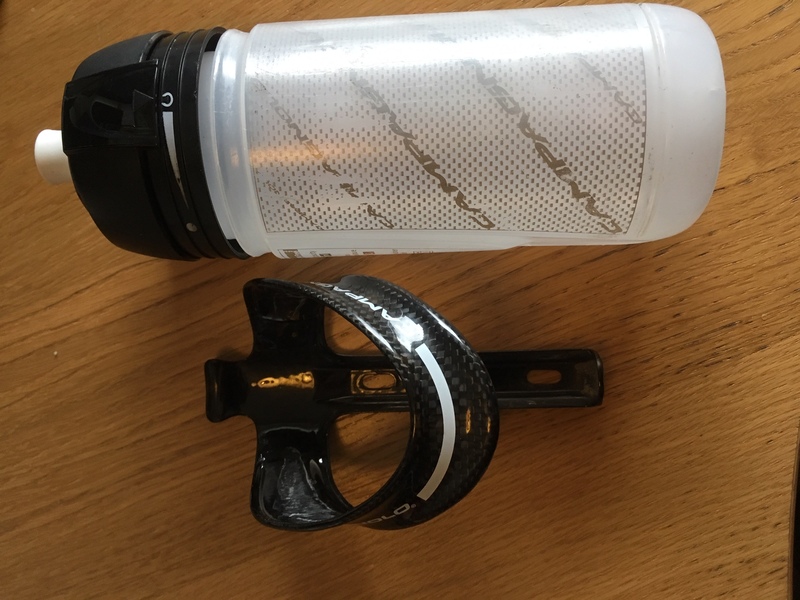 Mads Pedersen was using this on the cobbles with no apparent problems, and it works in cyclocross and mountain biking, so there should not be any reason for it not to work on the road. 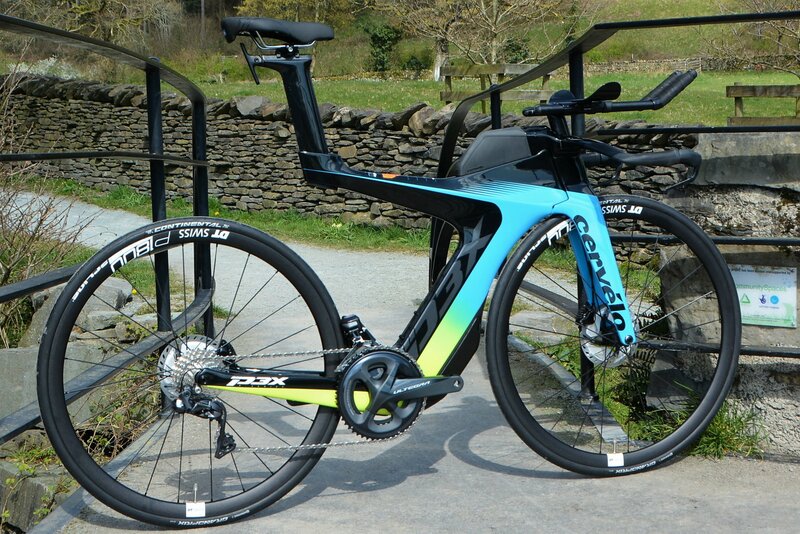 This season will be very instructive actually because the riders have a choice here (unlike at Aqua Blue since the 3T frame was 1x only). 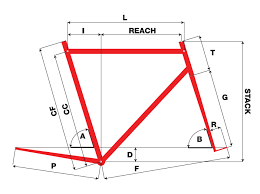 If we don’t see any Trek riders on 1x in long and flat-ish races later in the year (excluding time trials probably) then there are presumably some real problems with the 1x setup of the group. I’d have thought that it was less likely to be used on long flat(wish) stages where having the right gear with closer ratios would be more important. Also potentially more likely to be used on TTs where typically a reduced set of gears would not be a problem. I’m also assuming that they would use splittable cassettes to set their own ratios – assuming the rules permit that vs standard shop bought ranges. 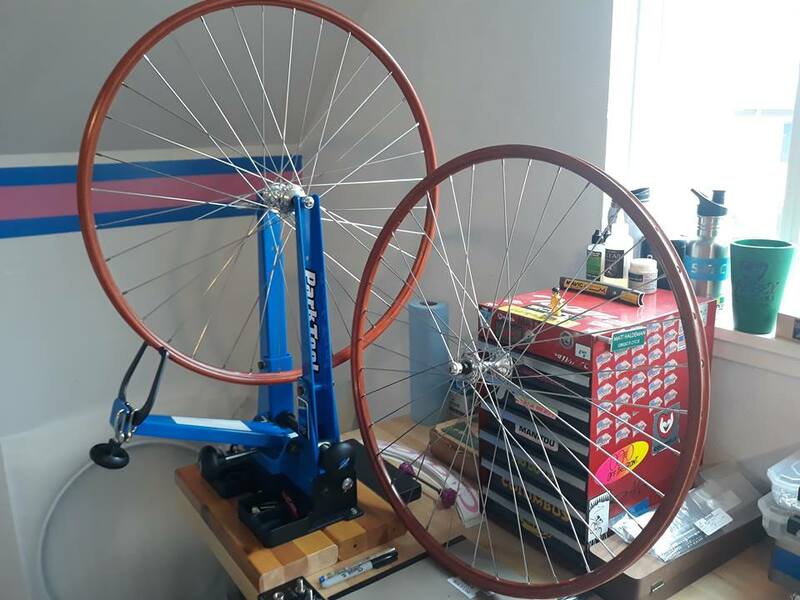 Squeaking jockey wheels – any advice beyond taking them out, cleaning and refitting? Take out clean and refit or replace with ceramic bearing ones such as BBB who make some reasonably priced ones. Pics of my Hollands with Irwin AON TLR 38 carbon wheels. What do y’all think? Finally got them there! Nice and still with the down tube shifter for the front mech I see. Though how do you find the different shape of the hoods when riding on the tops? Yes. I love being able to manually trim the FD. Modern hood shape along with the they blend with compact bend bars is more comfortable. Feels like you’re riding on top of them. The hoods on my Hollands (circa early 90s) are narrower and it feels like you’re reaching “down” into them. 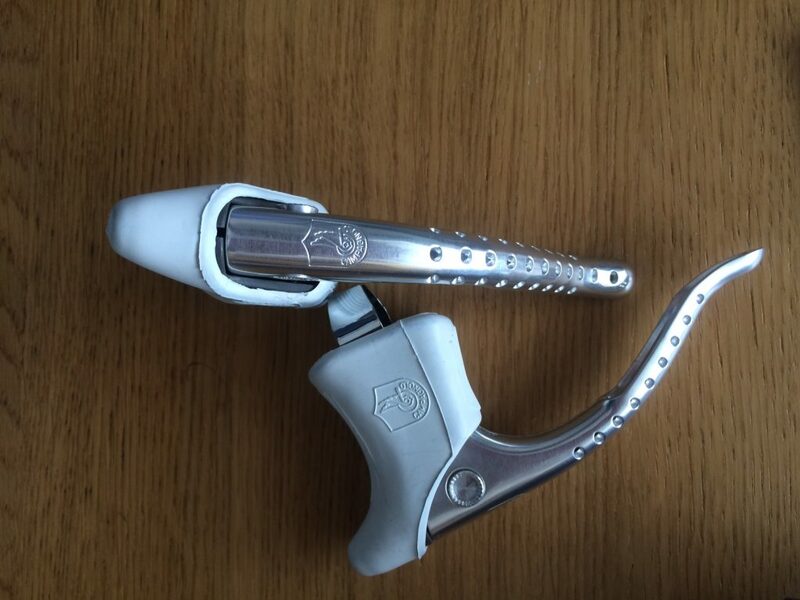 Especially with the shape of my ITM handlebars. But still comfortable enough. Pictures seem to be fixed now. Let me know if you have any more issues! Picture still not fixed! there’s no seat stays! 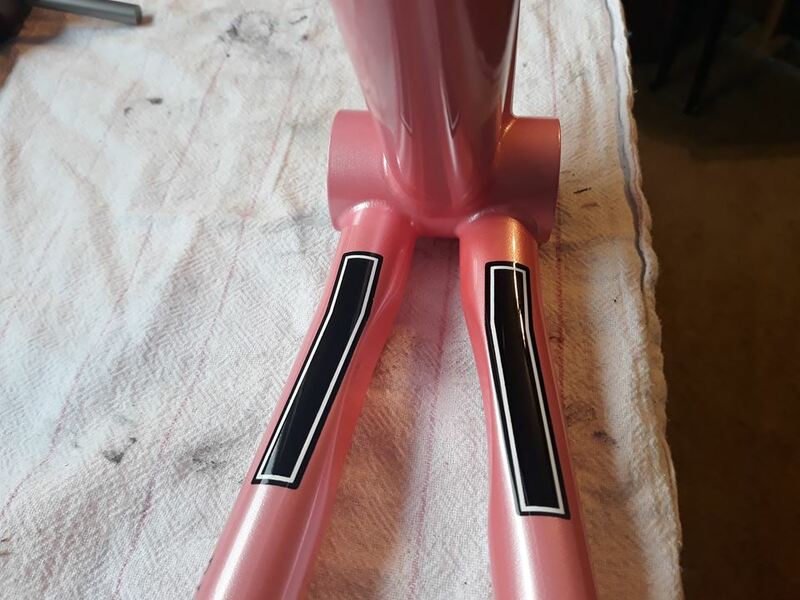 The BB and Chainstays are so stiff they are not needed. All built out of Graphene……………..
chuckp – seems to be a permissions thing – they screwed up a pile of permissions in an “update” last night as the files seem to load somewhere but are not visible in the Media Library. 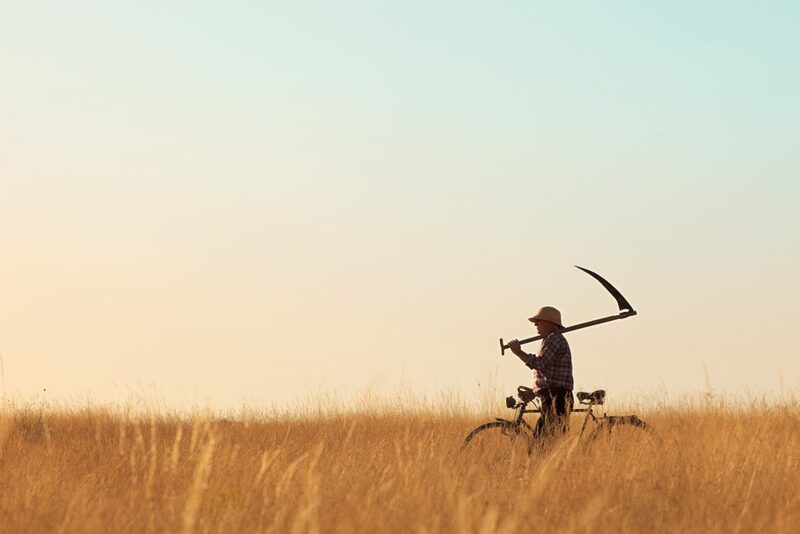 Grrr – will get my tech mate to investigate. I’m not seeing anything. Maddening! Yup – bear with me. Looking into it. Really pissed off with my Service Provider! Ugh – just found something else that is not right behind the scenes. All is not well still with the fix for last night’s cockup of the site. Grrr……. OK so we seem to have found that my SP has set the Media Directory to Root access! I don’t have access to change that back. So have sent them (another) stroppy email. As you say, we’ll see what tomorrow brings. Hopefully they will not kill the site again overnight…….. Same as me … nothing … nada … zip … zero … the big bagel. The photos didn’t post for some reason. Trying again. @teocalli – I don’t know if it’s me or the site, but my photos aren’t posting. I tried to post in photos and I got a message saying file exceeds maximum file size. Will try to make them smaller files and see if that works. Let’s see if these pics post. Hmm – I’ll check. My SP had t rebuild the site this morning after they screwed it up last night and I did spot a few hangover issues……. My latest for PEZ. 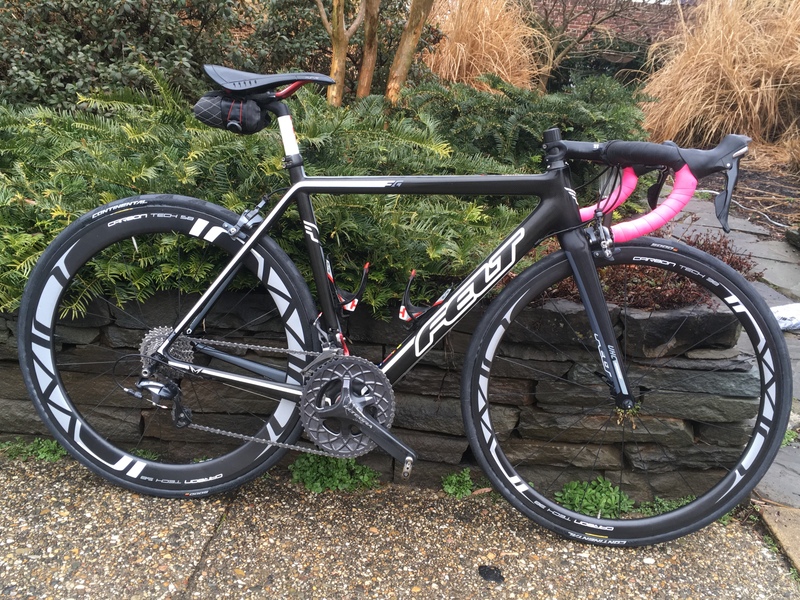 Review of veloToze gloves and shoe covers. Perfect for the Classics and Belgian spring. Bring on Omloop! I love my Velotoze shoe covers, never tried the gloves though. Will have to check them out. 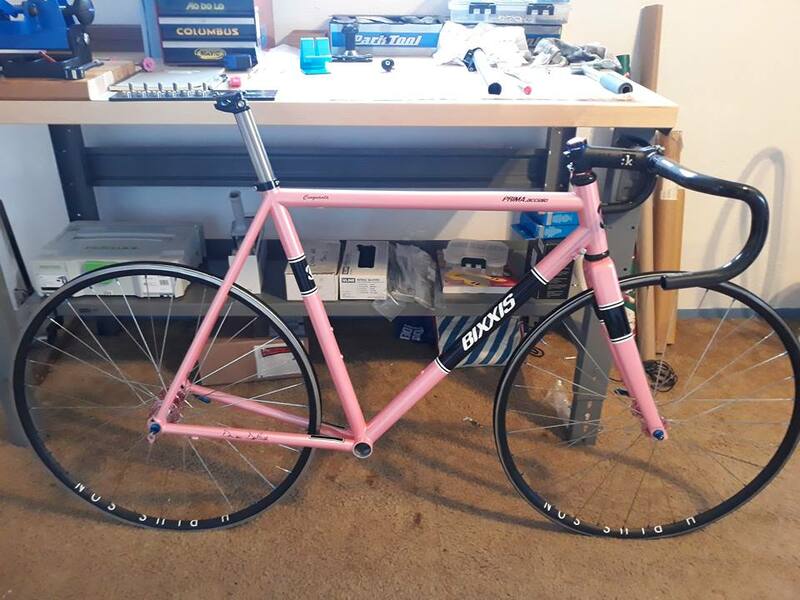 Not quite the finished product…going to lace up some Boyd Carbon 28mm deep tubulars for it to be on display with at NAHBS, but had to toss some wheels on her and take her for a spin! Real men ride pink! Love it! Virtually all of my fleet have some sort of pink involved! Agreed, I must have 3 pink poloshirts, 1 pink rugbyshirt, pink dressshirts, pink tie, pink t-shirt (just got a pink karaoke shirt as well). No pink socks yet (old school rules, no worries ChuckP!). But 2 pink cycling jerseys. 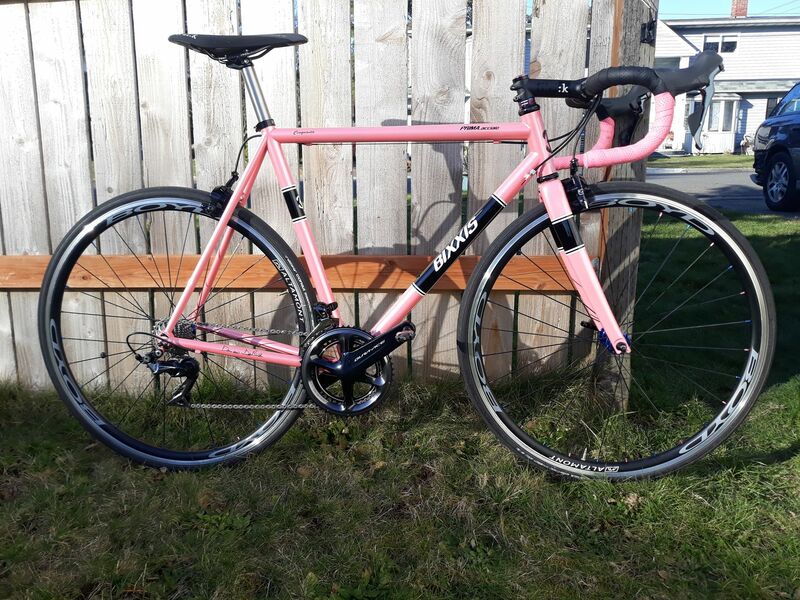 Bikes are pink-free however, mmmm. Test riding Continental Grand Prix 5000 tires today. Irwin asked me to do a riding impressions write up for them. Tacx to be acquired by Garmin. Some interesting thoughts here from DC Rainmaker. Wow, that’s nice! 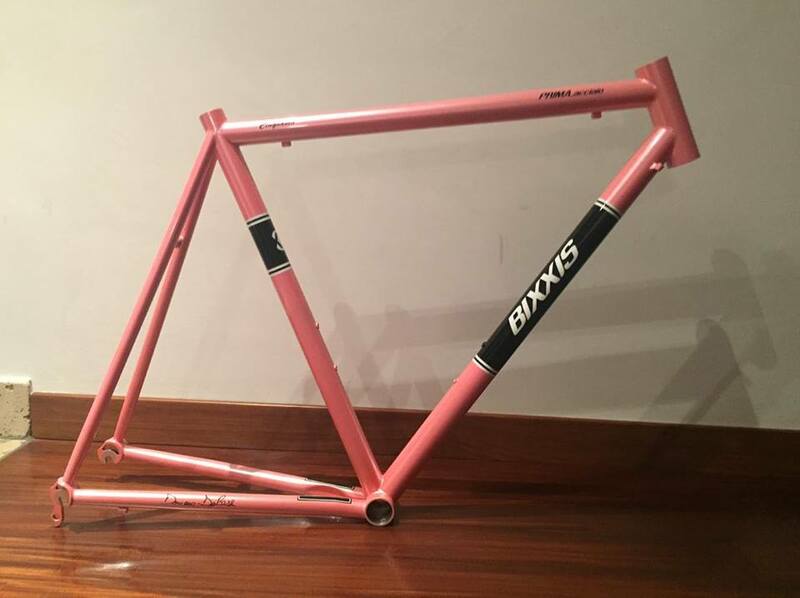 I have Bixxis on my short list for my next road bike, so I will be very interested in this build. oooooooo….nice. I must look as seeing if posted photos can show up better………….done! I had to share this. 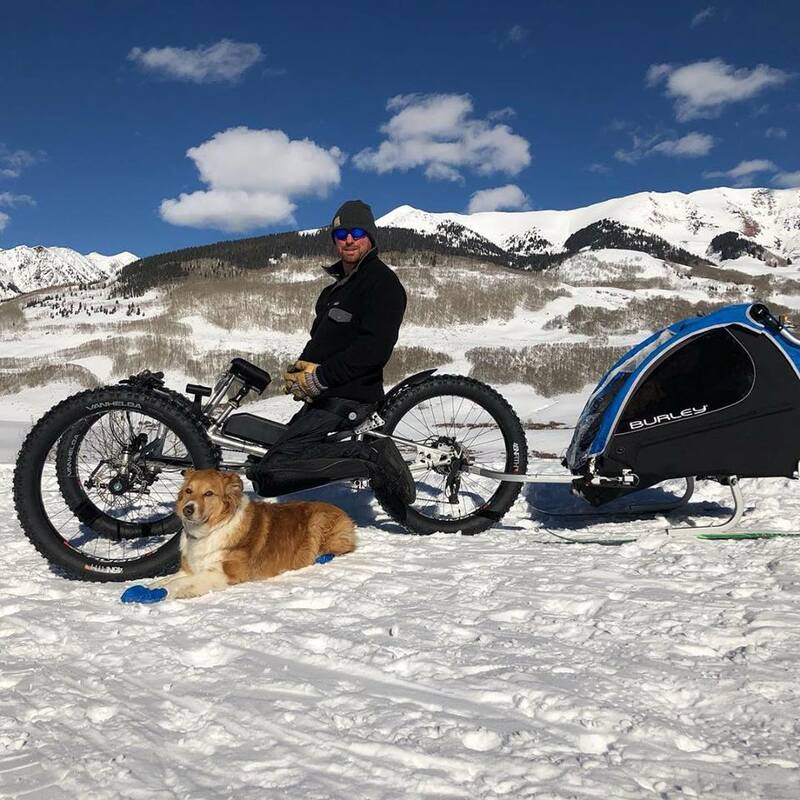 Jake (my friend in Colorado) and his wife have a recent new member of the family so Jake has rigged up a tow to his off roader……….just to be clear I mean a daughter not the dog! 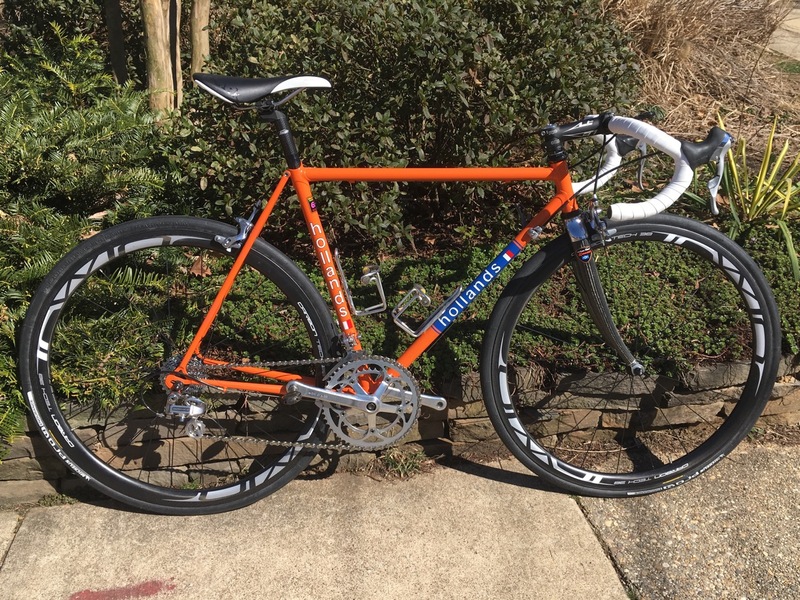 Stelbel bikes – seriously tempting. Actively considering a number of options………..
Personally…I’d choose the Rodano. Those chainstays!!! Thanks for bringing this to my attention, I wasn’t aware of them before. Beautiful looking bikes! It might make my choices for a new bike that much harder. Which model are you considering ? On my short list are Bixxis, Somec, Jaegher and maybe a US builder. 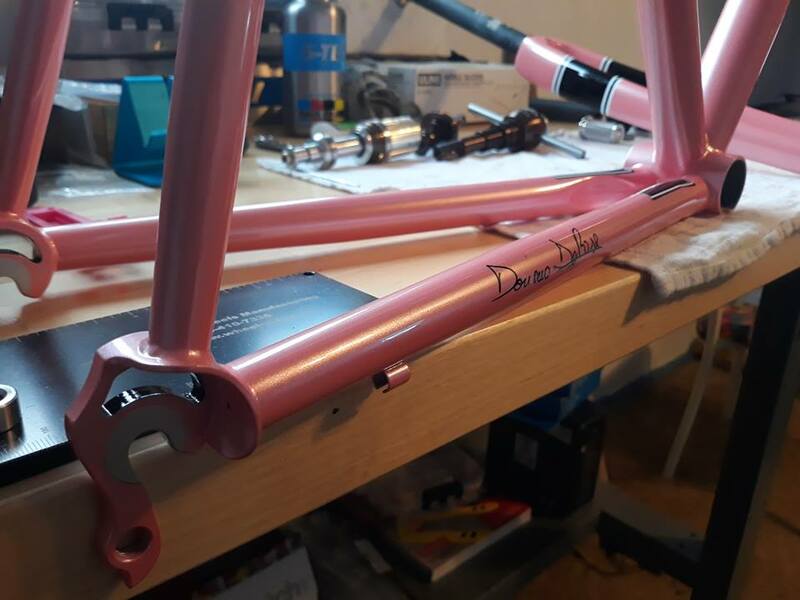 I like Chris Chance’s new frame, but the sizes seem to be just too big or small for me. We’ll be in northern Italy next summer, I will have to add Stelbel to the list to visit. I’m thinking Stainless. 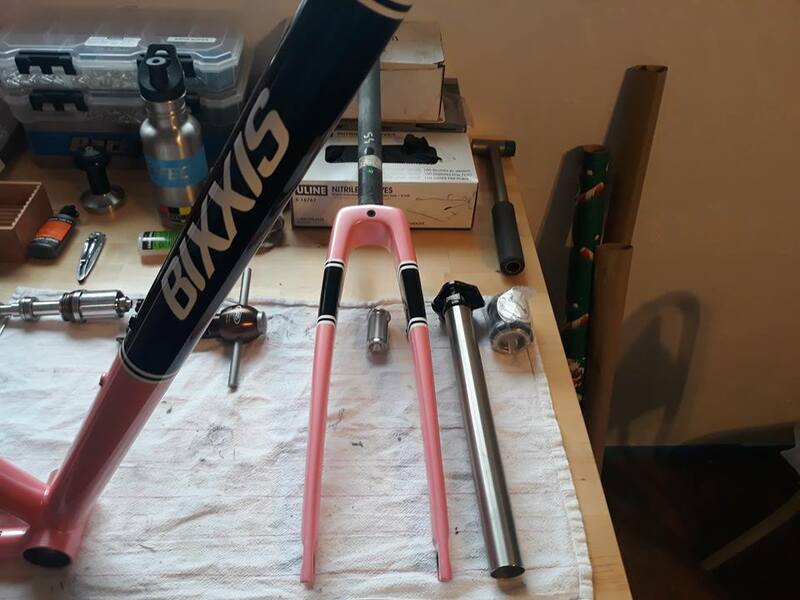 Mainly as I want an all purpose steed that would likely replace my Wilier which is getting a bit worse for wear from it’s current Winter / #9 role. 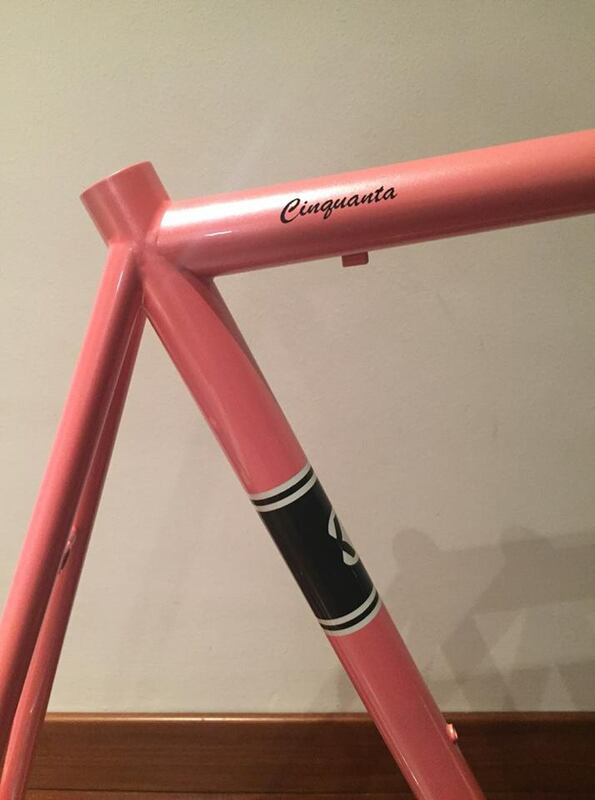 Another option is Paulus Quiros over in Swansea as I liked some of their work at Bespoked a couple of years ago. Feather would be great but not sure I want to wait 12 months. Oh and Jaegher too but that is feeling a bit “me too” somehow – which is odd really. 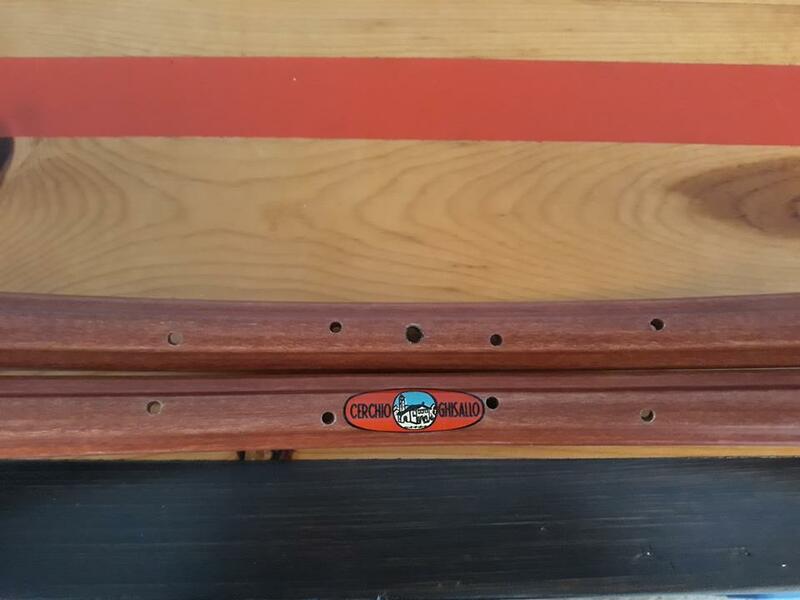 Very nice – are they wall art as is or do you have a “matching” frame? The intent was wall art. My father had asked for some wall art when I started my business. 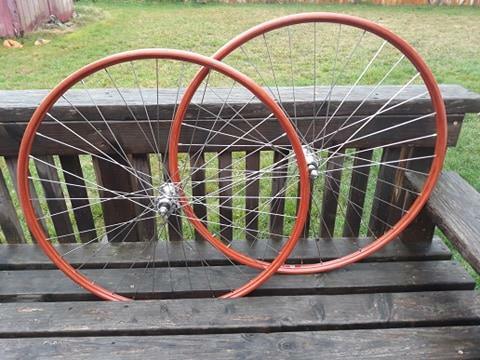 Sent him the front wheel, and I will be displaying the rear in my booth at NAHBS. 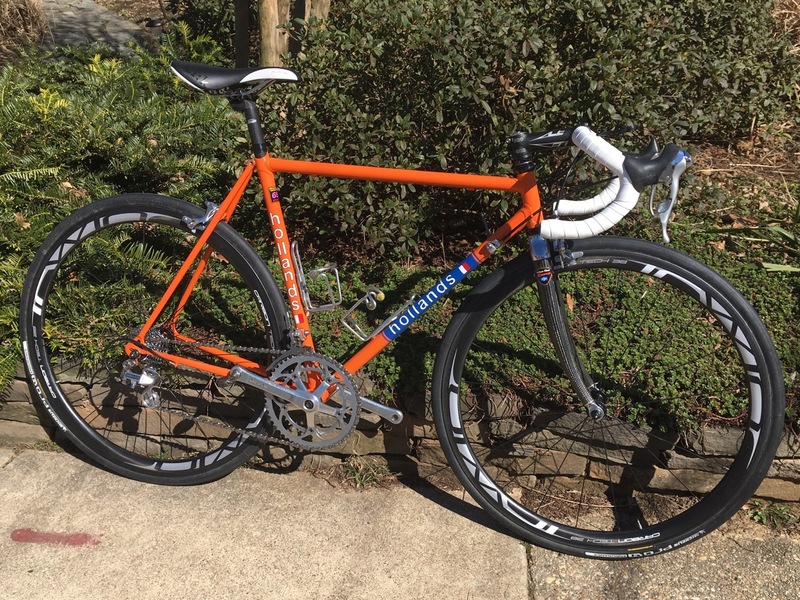 But..once I get him the rear wheel after the show, they may find their way onto his Masi Gran Criterium. You had me at Ghisallo’s! Had to share these beauties that just landed. Doing a special Christmas build! Oh My Word. They are Things Of Beauty. You need to make the build a storyline via a Post on the Chiacchierio page so you can give us the progress on the build either that or record the whole for a Gazzetta item when it is complete. I shall make a little story via pictures of the progress, I am sure you will find the rims I await as Things Of Beauty as well!! Cripes, are those for riding or display? 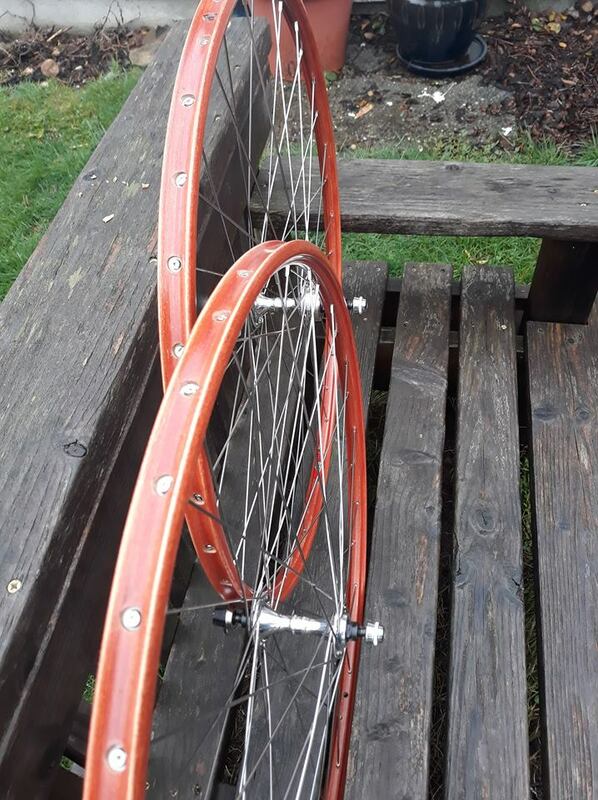 I take it those really are wooden rims or are they lookalikes? Not sure I’d want to trust riding them. They do look beautiful made up though with gum-walls. What tyres will you be fitting? 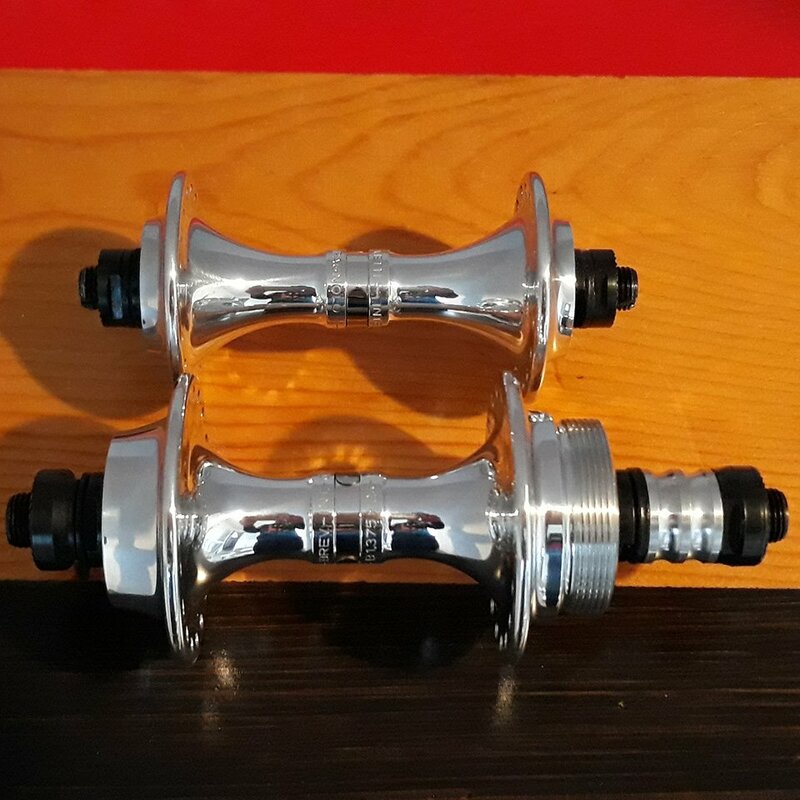 Is it for a track bike? 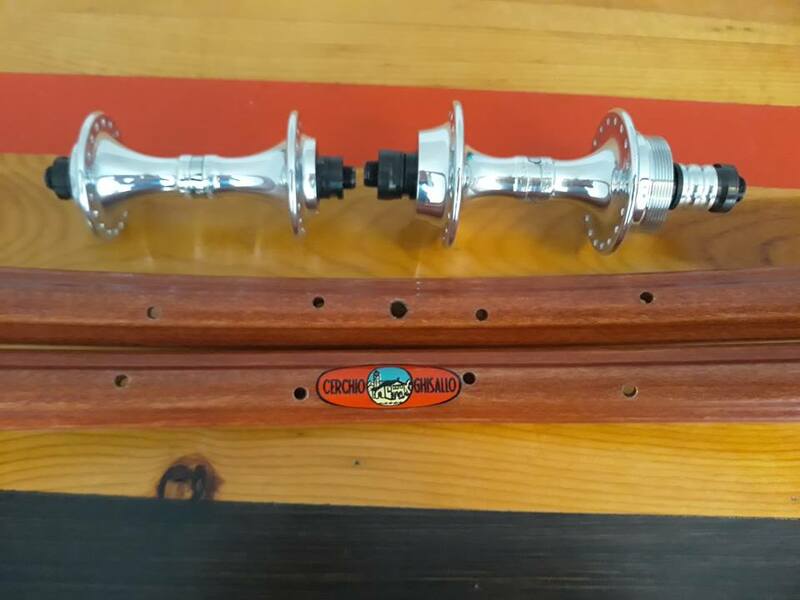 They are indeed wood, Ghisallo’s Elegant model road rim to be specific. Absolutely strong enough to withstand road riding conditions. 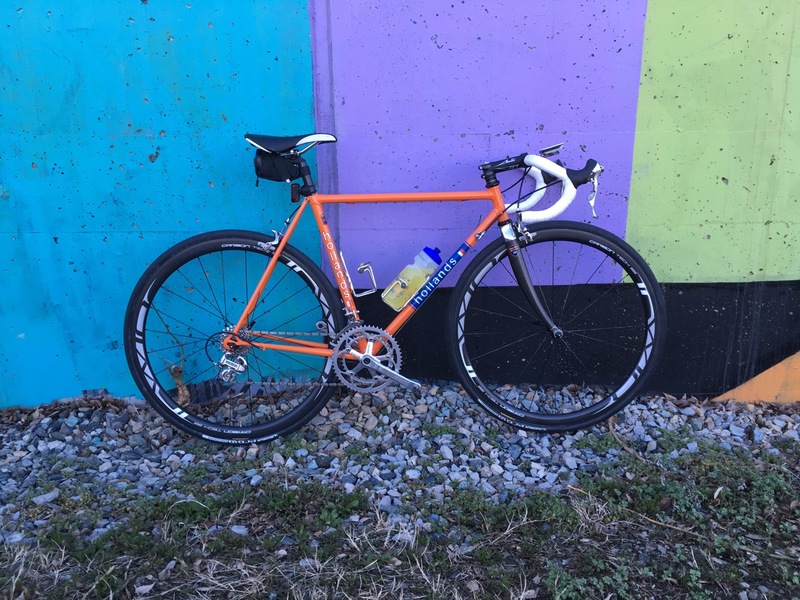 This set is destined to be wall art, but with sweet set of Dugast, FMB, or Veloflex tires would make a great set of wheels for an all day roll! Crikey Moses those are stunning. OK Sorted I hope……..A WordPress update had been applied that disabled the Visual Editor we use. Have installed a Plugin that enables us to use the Visual Editor. Phew! 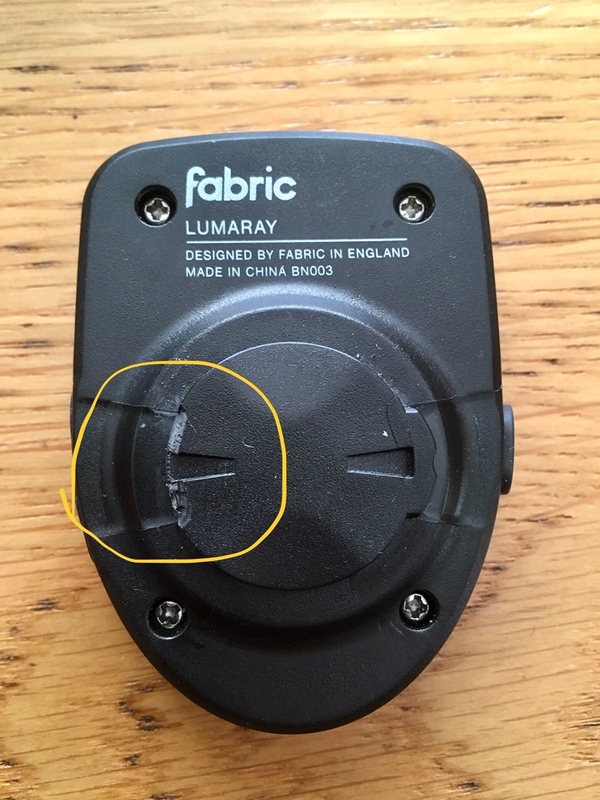 I hope……..
I’ve been using the fabric Lumaray light for a few weeks and they are really neat BUT at the weekend I hit a bump on a fairly fast descent and the the lower mount snapped off. 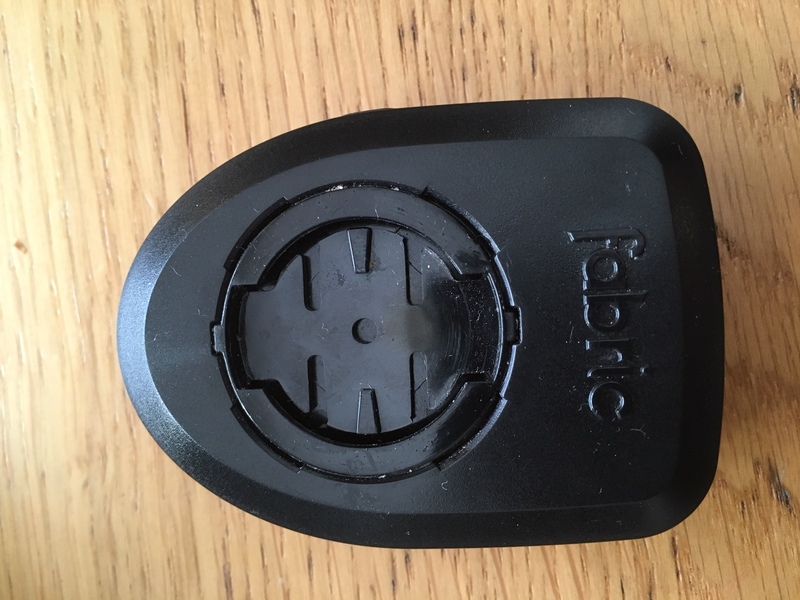 I’ve been using it with a Garmin 800, so I have to conclude that these lights, while they result in a really clean cockpit, are only suitable to use with the lightest of GPS units. Shame as they are a really neat idea. So back to the drawing board to find a solution to have the cleanest cockpit with a front light. Yikes, that’s no good. I’m surprised, actually; all the Fabric stuff I’ve used has been borderline bombproof. I use a Garmin Edge 25, so probably wouldn’t be a huge problem for me. For anyone who cares, I also use a Garmin eTrex Vista HCx – the least memorable product name ever? – for full navigation etc. when I’m touring/bikepacking. Runs on 2xAA batteries, which last a quoted 24 hours (I’ve usually got around 20h with minimal backlight). The one downside to it is that it is fecking enormous! Not one for looks, or for an uncluttered cockpit. Very nice. Wish I was in need of some ! My next wheel purchase will probably be a five-spoke for track though. I know someone who may be parting with a new, unused one. 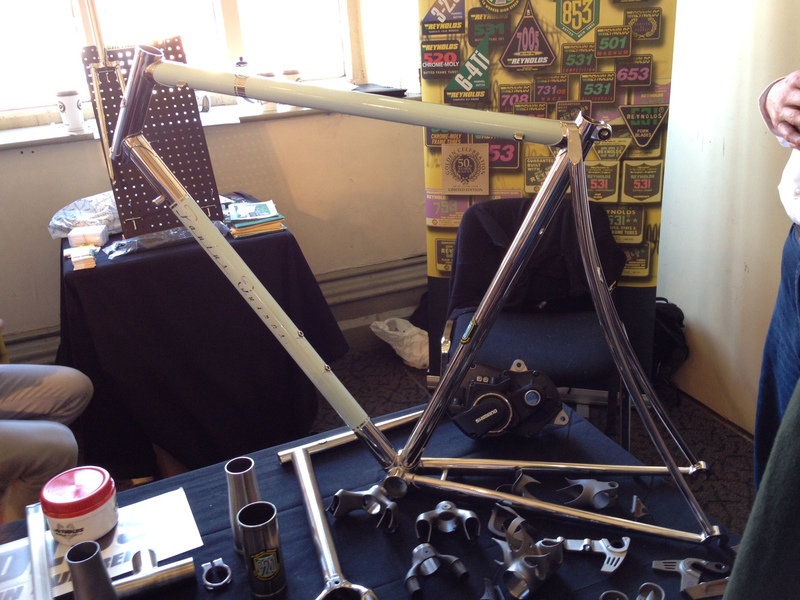 It was used for only for display purposes on show bikes at NAHBS, and has never been glued. Sorry, I missed this… I was away all week at a work conference. Not a tech question…but a tech offering. Long time member the V community, have joined you all here to keep the spirit alive. 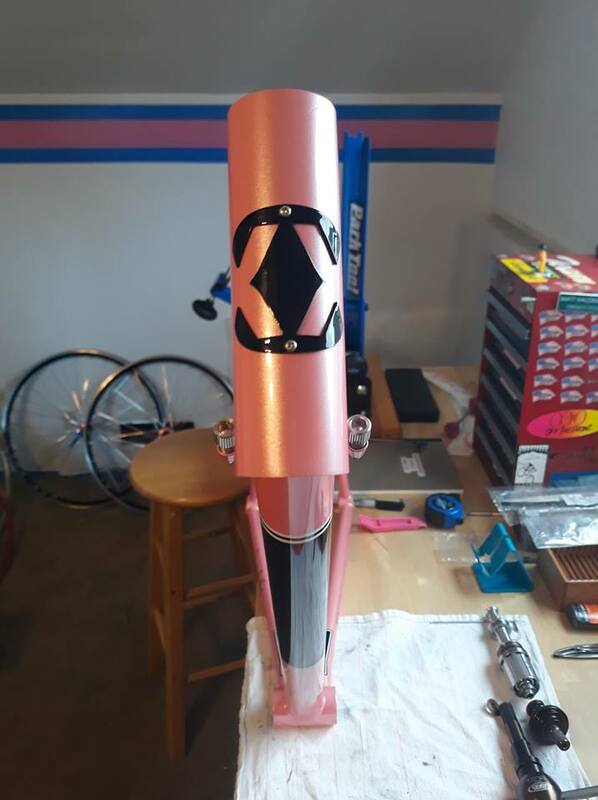 I am also a lifetime bike mechanic and have stepped away from shop life to start my own wheel building business. So if any of you out there ever need and beautiful custom wheels, please consider checking out my site. I clicked the link, and it doesn’t seem to work. Might help if I type my own web address correctly!! Now I want new wheels too! Those are gorgeous. Now I either need a new bike with the usual stock garbage wheels to change out, or an excuse to change out the wheels on one of my others. Welcome (to all) and thanks. Good to know that the community have knowledgeable folk to call on. The intention of this page is that members can post nice “stuff” and their observations as to ask for Tech help. Apologies good sir. I just didn’t know if here, or general banter was a place to put down my info. But, since I have been a lifelong bike mechanic, I am happy to offer any tech help I can to the community! Can’t think of anything you have to apologise for!